When September rolls around, the internet usually starts going crazy over all things pumpkin, but I like to try to hold out until late October/early November. You know, to make it a little more special. 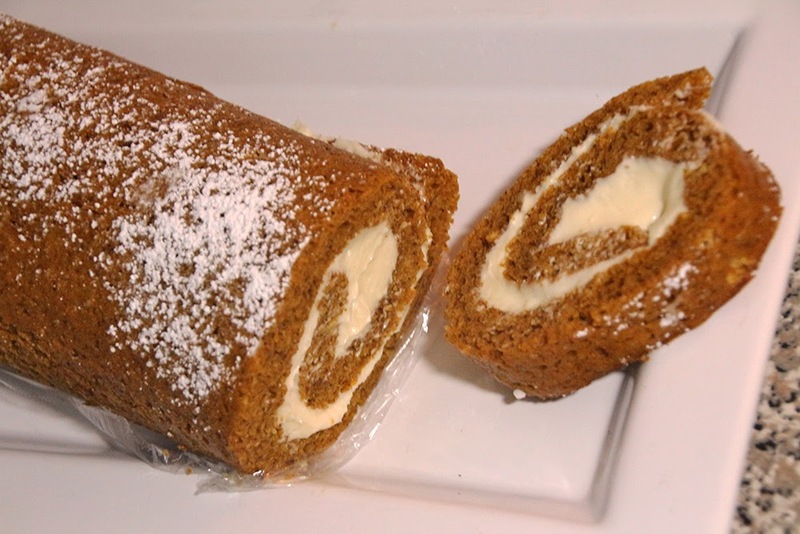 So, since November 1st officially rolled around on Friday, I knew it was time indulge in a pumpkin treat, and this was the first thing on my to-make list. I’ll admit, I was a little worried that the cake would crack when I rolled it, but I didn’t have any issues with it at all. 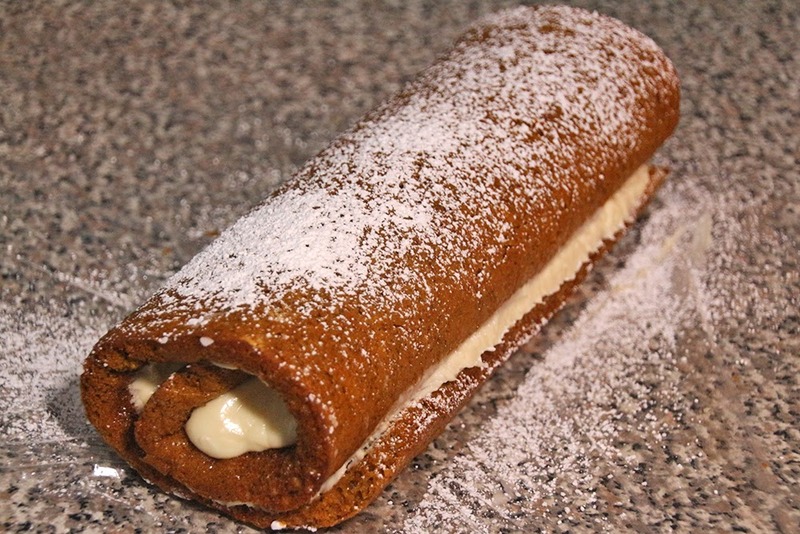 It was such a hit that I think I’ve decided to make this for a Thanksgiving dessert. 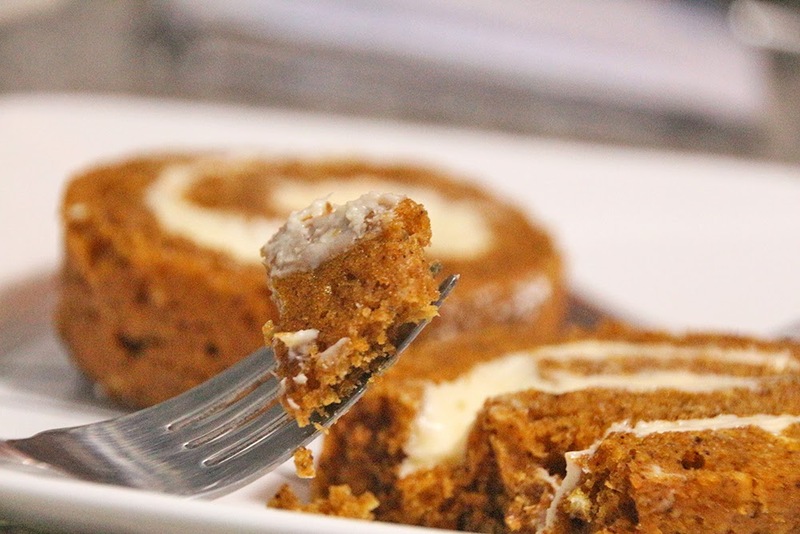 Bring on the (real) month of all things pumpkin! 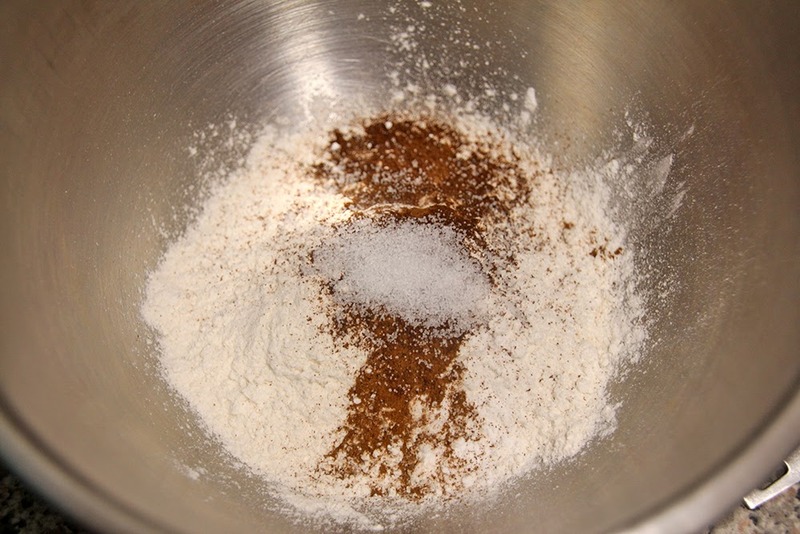 In a small bowl combine the flour, baking powder, baking soda, cinnamon, cloves, and salt. 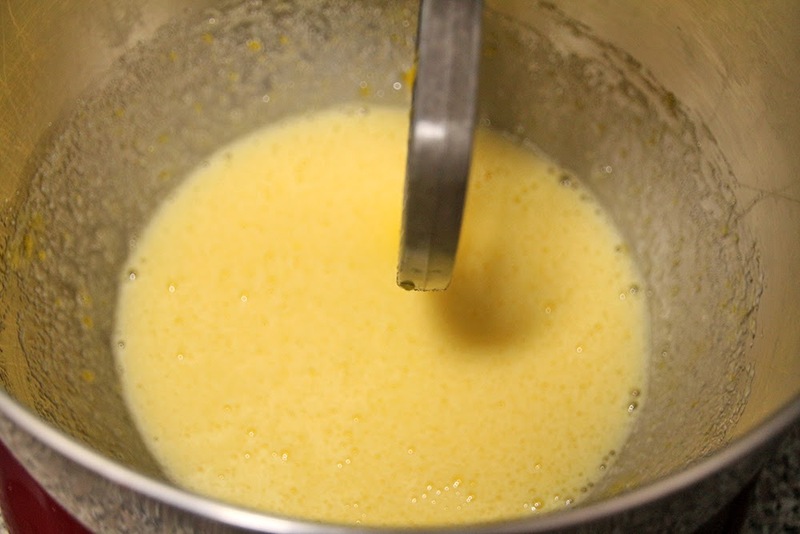 In a large bowl, beat the eggs and sugar until well combined. 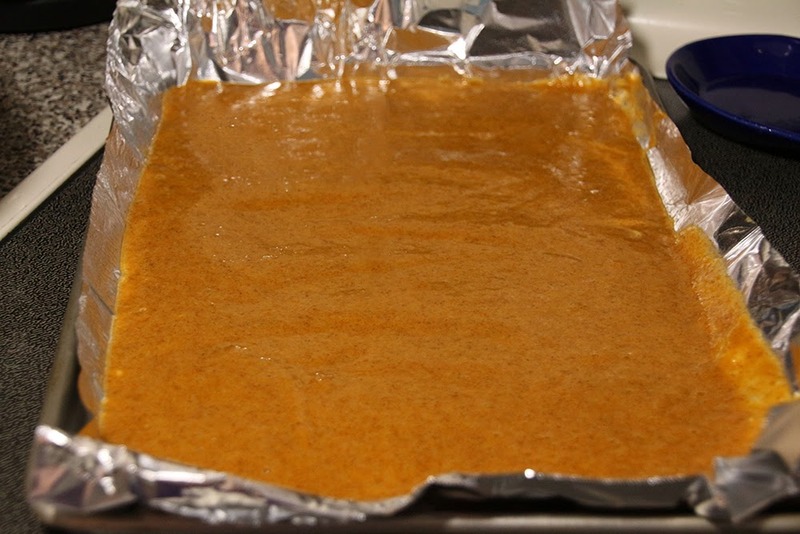 Pour the batter into a 15×10 inch jelly roll pan that is lined with foil and sprayed with cooking spray. 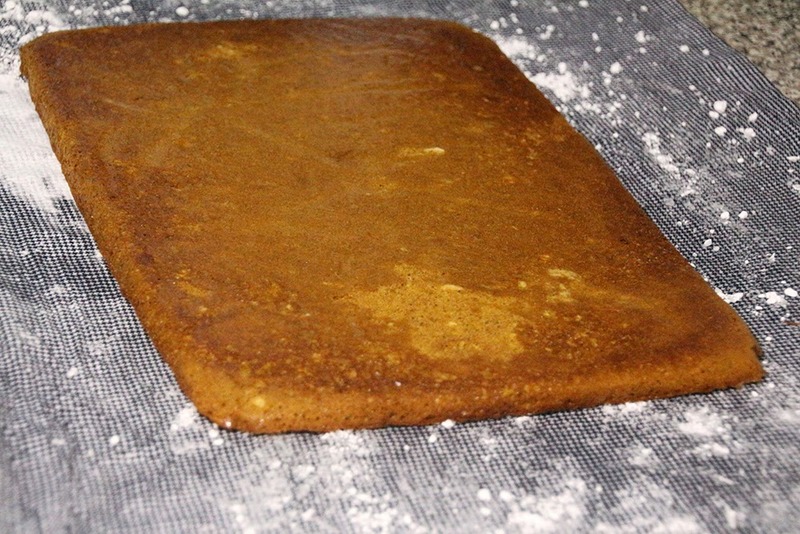 Bake at 375 for 13-15 minutes, or until the top of the cake springs back when touched. 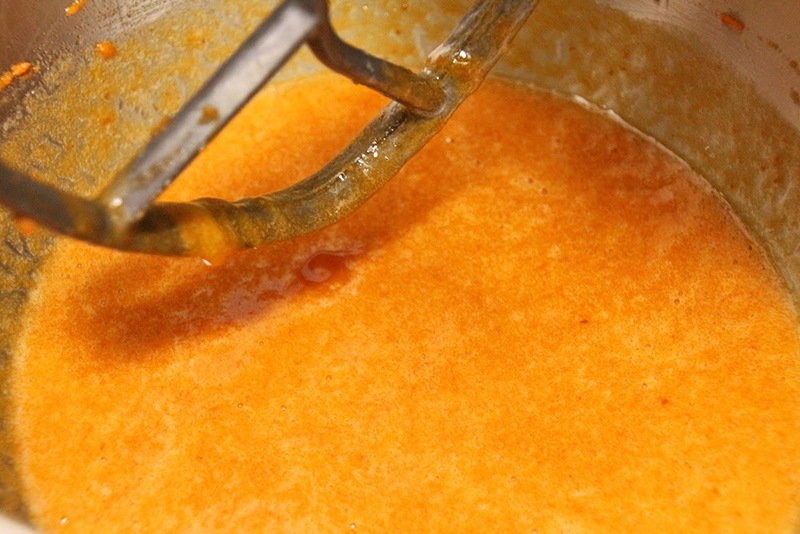 Spread out a damp thin cotton towel and sprinkle with powdered sugar. 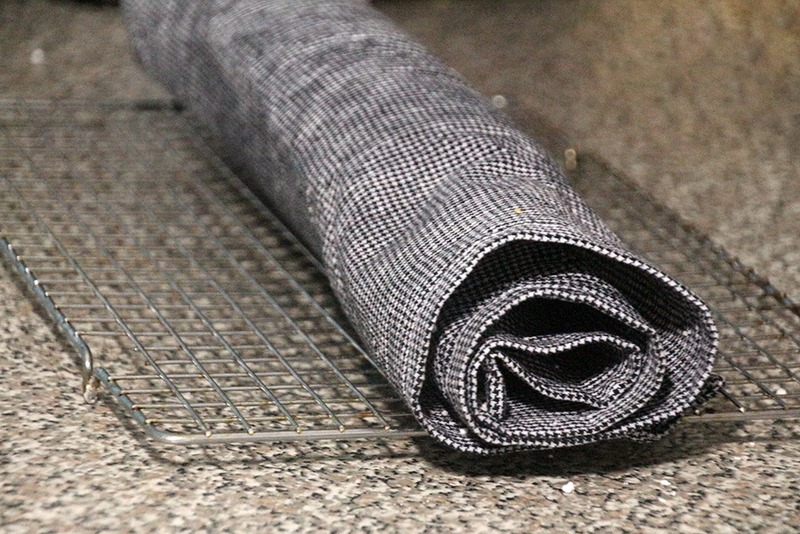 Immediately after taking the cake out of the oven, turn over onto the prepared towel. 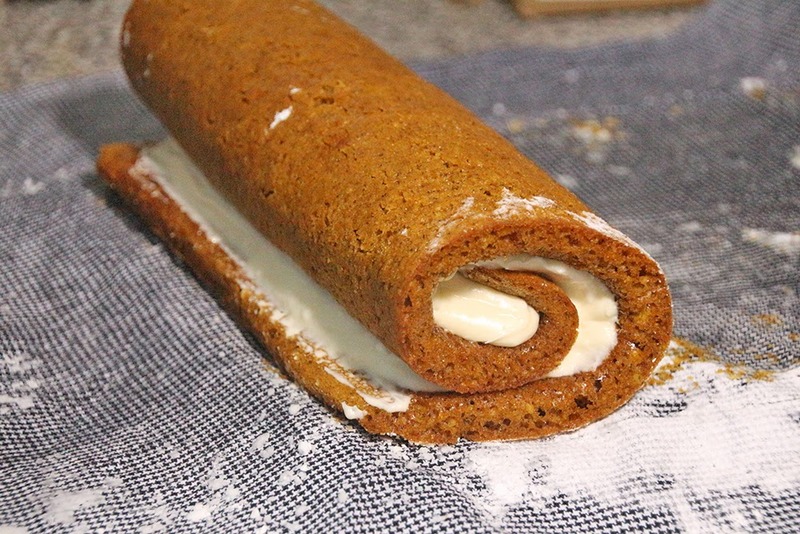 Carefully roll the cake and towel together, starting with the shorter end, and cool completely on a wire rack. 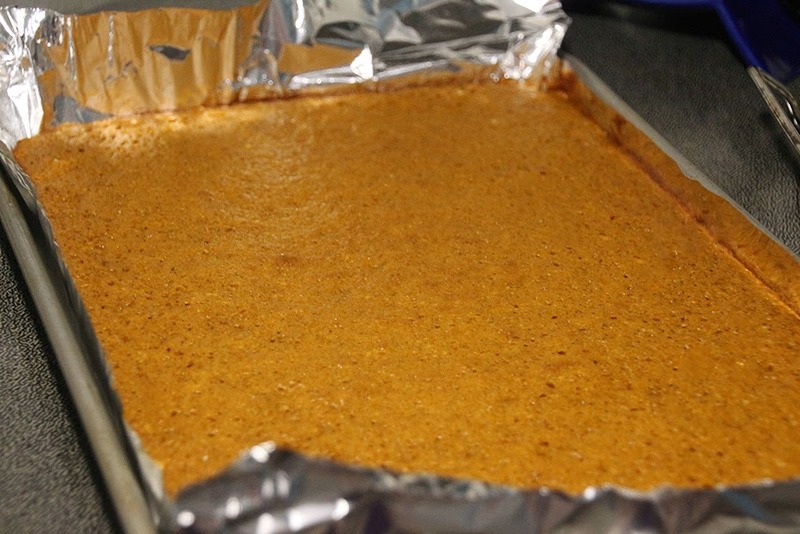 While the cake is cooling, prepare the filling. 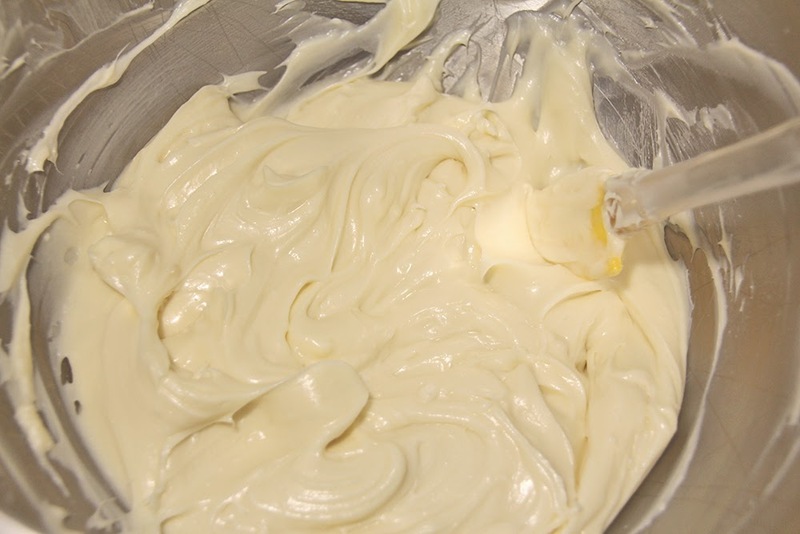 In a large bowl, beat together the cream cheese, sifted powdered sugar, butter, and vanilla. 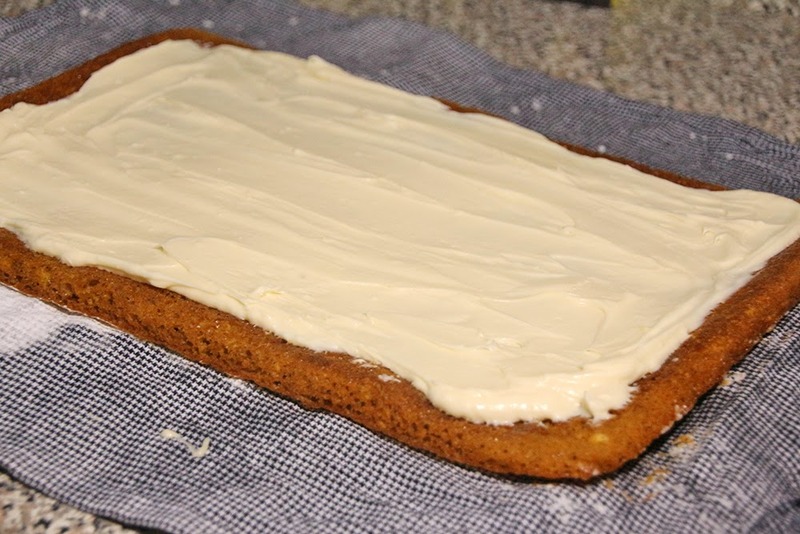 Once the cake has cooled, unroll, and spread the filling over the cake. 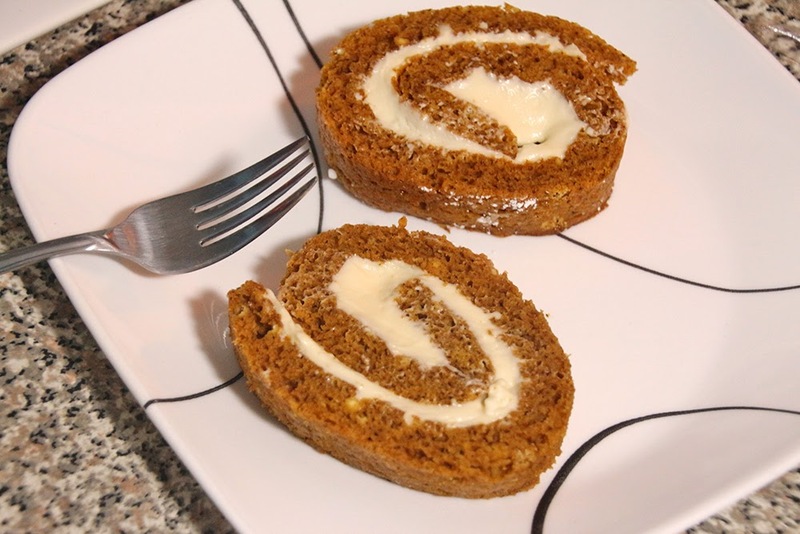 Re-roll the cake, wrap in plastic wrap, and refrigerate for at least an hour. 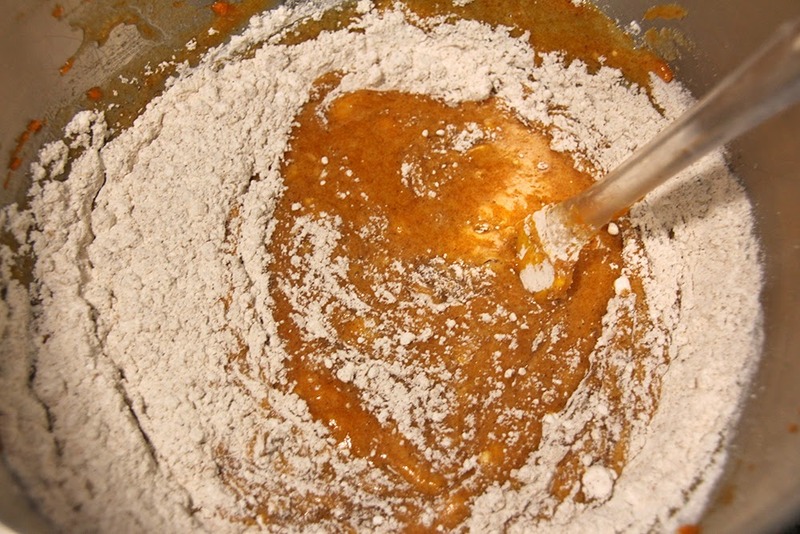 After the cake has been refrigerated, dust with powdered sugar, and serve. 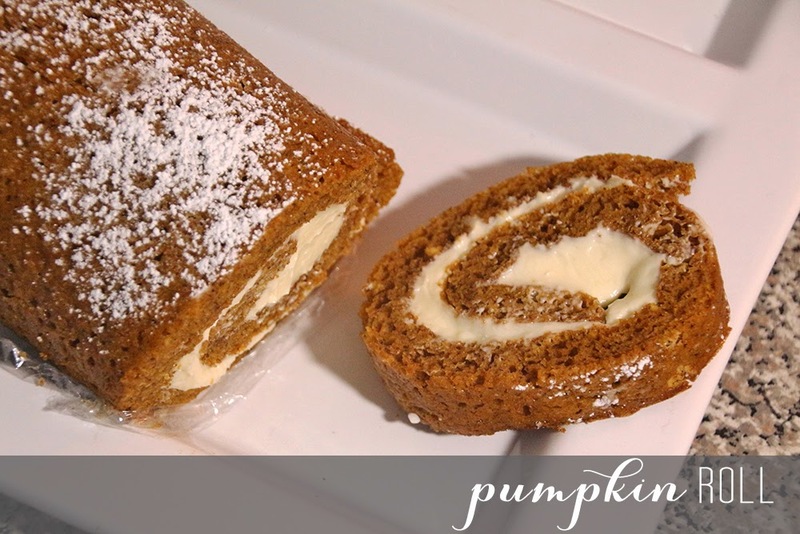 I have got to try and make this for thanksgiving this year! I always worry that the bread will fall apart when rolling! 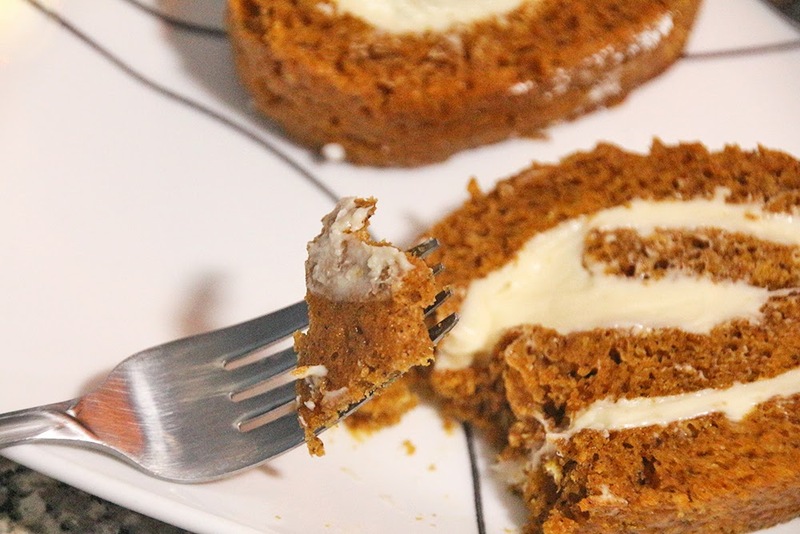 I’ve been too nervous to make a pumpkin roll for the same reason – the cake crumbling! Looks like yours turned out perfect! My mom has been making this for years, it is so good!! That looks so amazing!!! I love all things pumpkin. I really should try this out for Thanksgiving! My mom has made these every year since I was a kid. 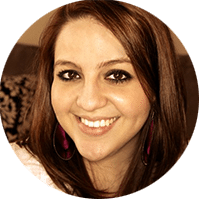 Unfortunately, I was a picky brat and never liked anything pumpkin until I was a teenager! So many years wasted. Love these! This sounds absolutely amazing, YUM!